Mai Kazbano Sindhi Classical Music Singer. She was great Sindhi Singer and she create great name in Sindh Music. She was very popular with Sindhi Folk Music, Classical Music and other local Sindhi cultural songs. She was famous singer of local area persons, she was called as versatile singer of Sindh, her great styles songs was very popular in young and old generation of Sindh. She sung poetry of most popular Sindhi poets such as Arfana Kalams, Sindhi Kaffis, Sufi Music.Sindhi peoples like to listen her great songs time to time in different (Mehfils), Marriage ceremonies and other Festivals. Her sweet sound attractive the hearts and now every time her songs played in the streets, Shops, Hotels and Vehicles. Mai Kazbano was popular specially for Sindhi Folk songs. I have selected below most popular Music of Mai Kazbano. 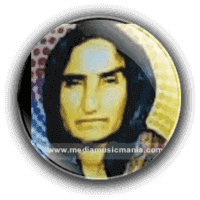 Mai Kazbano Sindhi Folk Music Artist and she belongs to District Badin Sindh and she was also popular in Therparker, Mirpurkhas, Thatta and other areas of Sindh. She started songs in open Mehfils in root areas of Sindh. She was most popular Artist and her songs still played in Vehicles, Hotels and homes rural areas.